Within the annals of twentieth century American organized crime there will forever be an elite, short-list of names with unmatched recognition. They are the sinister royalty, a collective brotherhood of infamy. Among this exclusive club are the individuals who - for better or worse - became the pop culture anti-heroes, the symbols of societal rebellion. On the flip side, they are the physical embodiments of gross disregard, be it law, order, morality or, as in many cases, human life. Their monikers and reputations splashed across headlines while their crimes burned into our psyches. Larger than life characters that conjured a mythical fascination, to the extent they've literally become household names. To find out who these pop culture touchstones were I reached out to some true crime experts and aficionados. Men who live and breath organized crime, drug kingpins and inner-city crime lords. Pursuing and writing these stories with a passion. I introduce- Christian Cipollini, mob expert / Ron Chepesiuk, who writes books about Colombian cocaine kingpins / and George Hassett, Boston-based journalist . Knowledgable in the extreme these three historians are going to break it down to us, as to why John Gotti, Pablo Escobar and Whitey Bulger are three of the baddest gangsters ever in the chronicles of criminal underworld lore. Christian Cipollini- Gotti was what he was, a gangster. He oozed a shameless pride in it, and drew national attention by being nothing less than the real life version of a Hollywood mob character. Gotti tended to be a master of his own publicity, and in the "Teflon Don's" case that ability actually gained him a cult-like following. Here was the boss of a New York crime family who, with a spring in his step, entered a courtroom under indictment and then swaggered right back out. Free as a bird and to the dismay of those who sought to put him behind bars. It was as if John Gotti always knew no charges would stick to his perfectly fitted attire, and the frenzied media swallowed such nuances up- spewing them back out as clever headlines. This confidence and cockiness certainly polarized New York, if not the entire news-watching nation during the early 1990's. Gotti was the "Teflon Don, America's Best Dressed Gangster," a hero to some, and a basic street thug to others. The law seemed to become as obsessed with Gotti as Gotti was with his own celebrity status. It was like the guy could '"charm the masses" into a state of awe, while investigators fumed over the cat and mouse game they were seemingly losing. The romantic notion of gangster life was certainly given a shot of adrenaline when Gotti began making the news on a daily basis, but organized crime factions, collectively speaking, are not fans of "superstar" figures within their realm. Celebrity status means unwanted attention and Gotti's god-like presence, high powered defense attorneys and even the adulation (swarms of supporters adorned in "Free John Gotti" t-shirts) could not halt the inevitable and fateful natural course of criminal life. Eventually he was put behind bars and began the decline into death. 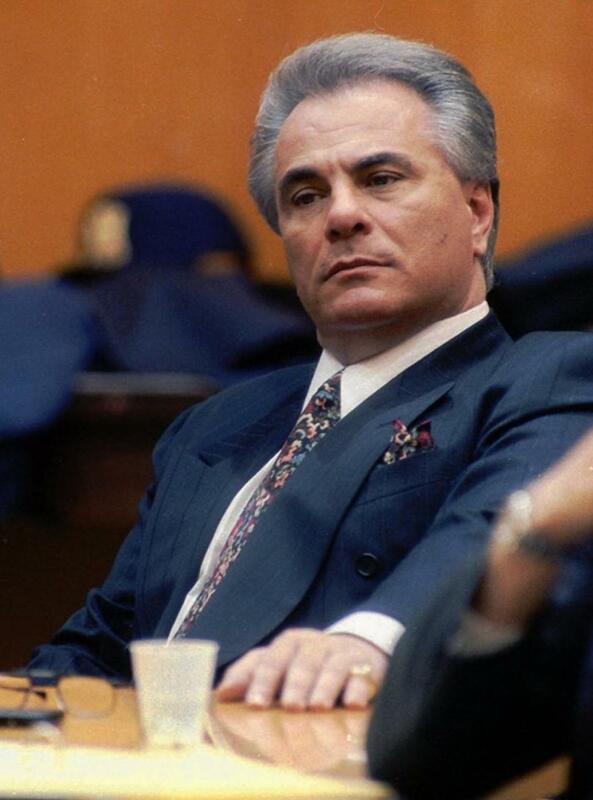 Love him or hate him, John Gotti was one of, if not, gangland's most prolific. Ron Chepesiuk- When the name of a gangster appears in the media today, few have the level of recognition that Pablo Escobar has. Capone might have it, but he's been around for a while. Gotti is another name that comes to mind, but the Teflon Don is essentially an American phenomena and really just a small-time hood when compared to Pablo. El Chapo Guzman is creeping toward that recognition, but I think it will diminish once he is extradited to the U.S. The Rodriguez-Orejuela brothers, godfathers of Colombia's Cali Cartel, were actually more powerful than Escobar and helped to take Escobar down, but they were low profile and didn't have the charisma that Escobar had. For good or bad Pablo Escobar is an icon.Escobar is the "world's greatest outlaw", a Billy the Kid at the international level. He didn't just take on a cop, a police force, or a federal agency, he took on an entire country, mano-a-mano, in a life and death struggle that threw Colombia, a country into near anarchy for years. Colombia hit Escobar with everything it had to take him down. Escobar not only survived, he dictated the terms of his surrender. When El Chapo is finally extradited to the U.S., will Uncle Sam allow him to build the prison where he will be incarcerated? That's exactly what the government of Colombia did for Escobar. And can you believe it was called "la Catedral" because of its luxurious surroundings. Top that, Shorty! Another big reason for Escobar's enshrinement is the level of violence he perpetrated. No shoot out with the cops or gang banging. 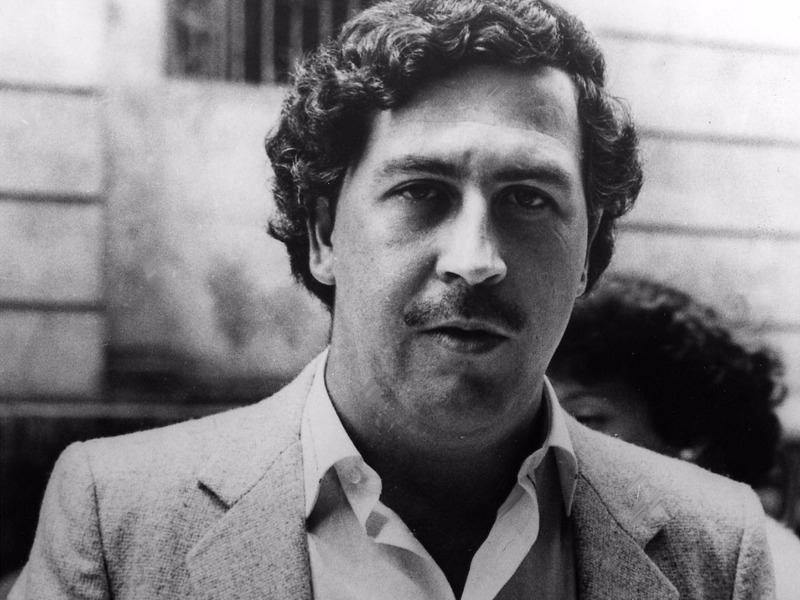 Escobar was so shockingly violent they had to invent a new term for what he did--narcoterrorism. He killed thousands of people--- presidential candidates, prosecutors, judges, cops, man and woman in the street, even priests. As a journalist I saw it firsthand.The sad fact- we've enshrined Pablo because the public loves outlaws who thumb their nose at authority. Look at the number of movies made about cowboys, mobsters and pirates. The public never gets tired of them. So Escobar's legend of being the "World's Greatest Outlaw" will only grow. George Hassett- Whitey Bulger did what many gangsters thought was impossible- he corrupted the feds. After surviving Alcatraz (where he was a test subject for the effects of LSD) and a deadly Boston gang war, Bulger manipulated the FBI into a deal with the devil- becoming their top informant when he should have been their top target. With backing from the FBI (not to mention his powerful brother, state senator Bill Bulger) Whitey ruled his South Boston neighborhood with an iron fist- flooding it with drugs while maintaining an anti-drug, friendly neighborhood Godfather image. That image contrasted with reality- Bulger was a pint-sized bully who wore lifts in his shoes and followed no codes - he snitched, killed women and preyed on the weak. In 1994, when his time at the top was done and he was about to be taken down by the FBI, he got one last tip from corrupt agent John Connolly and skipped town, evading justice for nearly two decades. When he was finally captured (he was number one on the FBI's Most Wanted List) in California in 2013, it closed the chapter on one of the ugliest street sagas anywhere - corruption at the highest levels, gangland murders and an entire city who had sold their soul to the myth of Whitey Bulger. In pop culture, Whitey looms large - having provided inspiration for two of the most accomplished actors of their time: Jack Nicholson in The Departed and Johnny Depp in Black Mass. 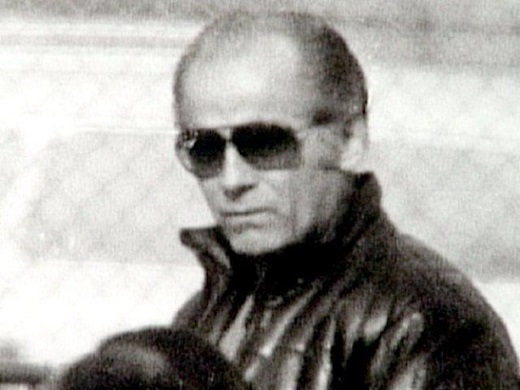 Bulger told friends he modeled himself after actor James Cagney, famous for portraying gangsters and tough guys in 1930s films. According to Whitey's fellow gang member John Martorano, his friends were amused by Whitey's comparison. In his memoir Hitman, Martorano wrote, "We used to laugh when he mentioned he modeled himself on Cagney. Because the first gangster movie that came to our minds when we thought about Whitey sure wasn't Public Enemy or The Roaring Twenties. We thought Whitey was Richard Widmark in Kiss of Death. You know, Tommy Udo - he's giggling as he pushes the old lady's wheelchair down the stairs. That's the kind of gangster that Whitey was." If you like to read about gangsters, check out Gorilla Convict.